Another Brooklyn explores the memory of place as well as person. 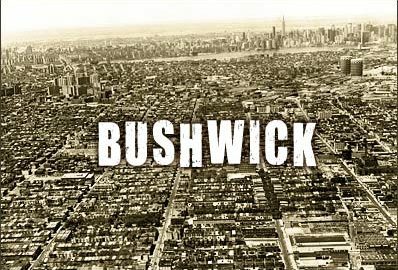 The Bushwick of the novel is in the midst of transition and crisis, as is its protagonist, August. Yet it also shows the depth and resiliency of both the neighborhood and the young girls growing into women who inhabit it. 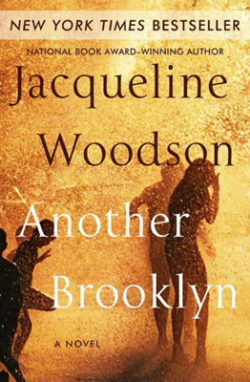 Jacqueline Woodson writes mostly for younger readers, but Another Brooklyn is her second novel for adults. She is the 2014 National Book Award Winner for Young People’s Literature for her New York Times bestselling memoir Brown Girl Dreaming. The Poetry Foundation named her the Young People’s Poet Laureate. Another Brooklyn was named to the long list for the this year’s National Book Award. Mothers (and fathers) are supposed to take care of their kids, not the other way around, right? But that doesn’t always happen. Deborah Levy’s new novel Hot Milk explores the complicated push and pull of one of those mother-daughter relationships that are inverted — and the process by which the daughter frees herself to take up her own life. Sofia, a young woman of 25, has brought her mother to a seaside town in southern Spain to find a cure for mom’s puzzling limb paralysis. There, she finds a dangerous love, a doctor who could be a brilliant healer or a quack, and ultimately she finds herself. Deborah Levy is a novelist, short story writer and playwright. Hot Milk has been shortlisted for the Man Booker prize — as was a previous novel, Swimming Home. Next week, we delve into longevity — and even immortality. We talk with theoretical biologist Josh Mitteldorf about his book Cracking the Aging Code: The New Science of Growing Old-And What It Means for Staying Young (co-authored with ecological philosopher Dorion Sagan.) Then Aaron Thier tells us about his novel, Mr. Eternity. It’s a romp through time from the 1500s to the 2500s with an explorer named Daniel de Foe who cannot die.